Helambu trek itinerary is 7 days trek itinerary which is nearest trek itinerary from Kathmandu to see real rural Nepal and country site of Nepal. 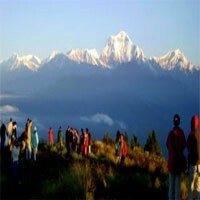 Helambu trekking itinerary begins from Kathmandu and ends in Melamchi Bazaar. 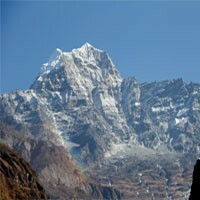 This off the beaten trek is less popular trek then other commercial trekking itineraries. We also can do combined trek Langtang and Helambu if we have longer holidays. We make Gosainkunda lake Helambu trekking itinerary also if you are interested. Day 02 : Kathmandu Sightseeing & Preparation for the Trek. Day 03 : Drive to Sundarijal & trek to Chisapani (2300m.) Drive 1 hr.,Trek 4 hrs. 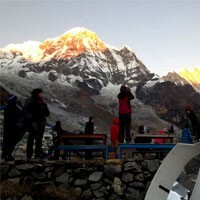 Day 04 : Trek from Chisapani to Kutumsang (2446m.) 7 hrs. Day 05 : Trek from Kutumsang to Thadepati (3650m.) 6 hrs. Day 06 : Trek from Thadepati to Tarkeghyang (2560m.) 6 hrs. Day 07 : Trek from Tarkeghyang to Sermathang (2,610m.) 3-4 hrs. Day 08 : Trek from Sermathang to Malemchi Bazaar (870m.) 5 hrs. Day 09 : Drive back to Kathmandu (3 hrs.) and farewell dinner with Frolic Adventure. Day 10 : Departure to the international airport for your final flight.